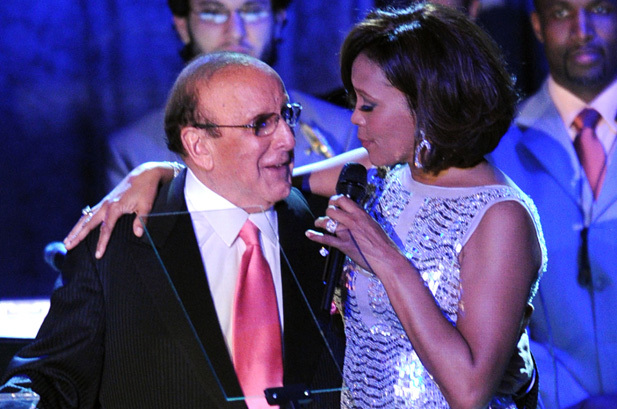 Clive Davis, the man who was responsible for uncovering the gem that was Whitney Houston didn’t shy away from his annual pre-GRAMMY party, last night [Feb. 11] at The Beverley Hills Hotel, but instead used the occasion to celebrate the life of his dearest friend. Davis, before heading into the hotel, was seen being comforted by another one of his great gems, Alicia Keys, alongside her husband Swizz Beatz. Clive was responsible for reviving Whitney’s career after her break from music and he never stopped believing in her.